The mass air flow meter is a sensor that measures the amount of air flowing through the throttle valve. 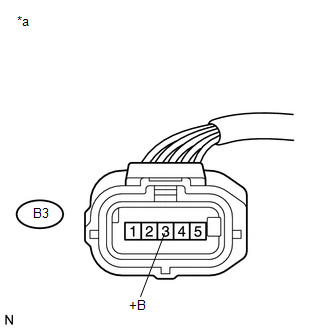 The ECM uses this information to determine the fuel injection time and to provide the appropriate air-fuel ratio. Inside the mass air flow meter, there is a heated platinum wire which is exposed to the flow of intake air. By applying a specific electrical current to the wire, the ECM heats it to a given temperature. The flow of incoming air cools both the wire and an internal thermistor, affecting their resistance. To maintain a constant current value, the ECM varies the voltage applied to the wire and internal thermistor. The voltage level is proportional to the airflow through the sensor, and the ECM uses it to calculate the intake air volume. The circuit is constructed so that the platinum hot wire and the temperature sensor create a bridge circuit, and the power transistor is controlled so that the potentials of A and B remain equal to maintain the predetermined temperature. When any of these DTCs is stored, the ECM enters fail-safe mode. During fail-safe mode, the ignition timing is calculated by the ECM, according to the engine speed and throttle valve position. Fail-safe mode continues until a pass condition is detected. The mass air flow meter voltage is less than 0.2 V for 3 seconds. The mass air flow meter voltage is more than 4.9 V for 3 seconds. 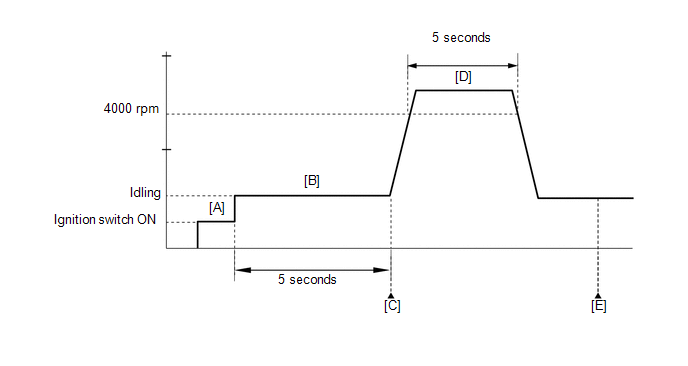 When any of these DTCs are output, check the air-flow rate using the Techstream. Enter the following menus: Powertrain / Engine / Data List / MAF. If there is a defect in the mass air flow meter or an open or short circuit, the voltage level deviates from the normal operating range. 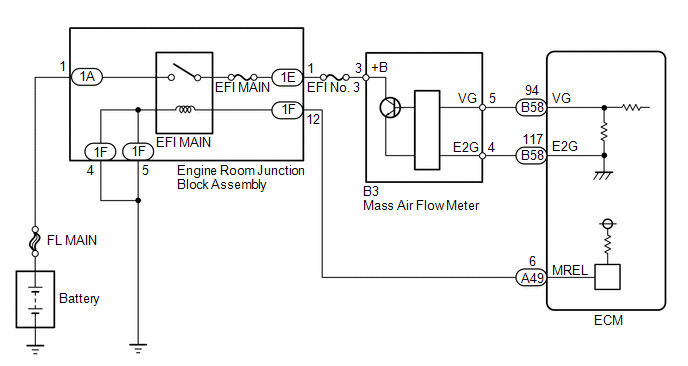 The ECM interprets this deviation as a malfunction in the mass air flow meter circuit and stores a DTC. When the sensor output voltage remains below 0.2 V, or higher than 4.9 V for 3 seconds, the ECM stores a DTC. Idle the engine for 5 seconds [B]. Run the engine at an engine speed of 4000 rpm or more for 5 seconds [D]. Input the DTC: P0102 or P0103. If the judgment result shows INCOMPLETE or N/A, perform steps [B] and [E] again. If the no pending DTC is output, perform a universal trip and check for permanent DTCs (See page ). (b) Perform Inspection (See page ). (c) Inspect the function of the mass air flow meter. (5) Enter the following menus: Powertrain / Engine / Data List / MAF. (6) Check that the reading of the MAF value changes when the engine is raced.